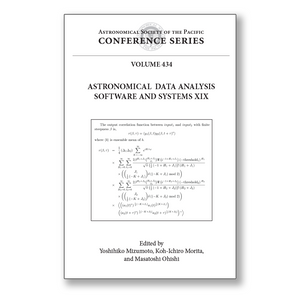 This volume of the ASP Conference Series contains papers that were presented at the 19th Annual Conference on Astronomical Data Analysis Software and Systems (ADASS XIX or ADASS2009), which was held in Sapporo, Japan, at the Renaissance Sapporo Hotel during 4-8 October 2009. The conference was hosted by the National Astronomical Observatory of Japan and was the first ADASS conference held in Asia. The main themes for the conference included Large Systems, Archive Architectures, Time Domain Astronomy, Visual Applications, and the Virtual Observatory. These topics were discussed in 44 oral presentations, 89 posters, six floor demonstrations, two focus demonstrations, as well as the two BOFs. This volume includes an overview of the challenges related to multi-wavelength data in actual astronomical projects. It will be of interest not only to scientists and software developers in astronomy, but also to those in other fields of science that have complex systems and huge amounts of data.